The roll-out of new iLok licenses for Pro Tools 12.6 was complex and took a major effort from several teams here at Avid. Although our success rate was very high (More than 99% of the licenses were deposited successfully), there can be issues when moving a very large customer base to new licensing. The transition has been very demanding, and we’re still hard at work.When fixing the outstanding issues, it is important that we find the root causes and address them in an appropriate way. This process does take some time, so we are providing temporary licenses for all affected customers. Please rest assured that resolving this is a high priority for Avid. Affected customers should see their new licenses deposited this week. 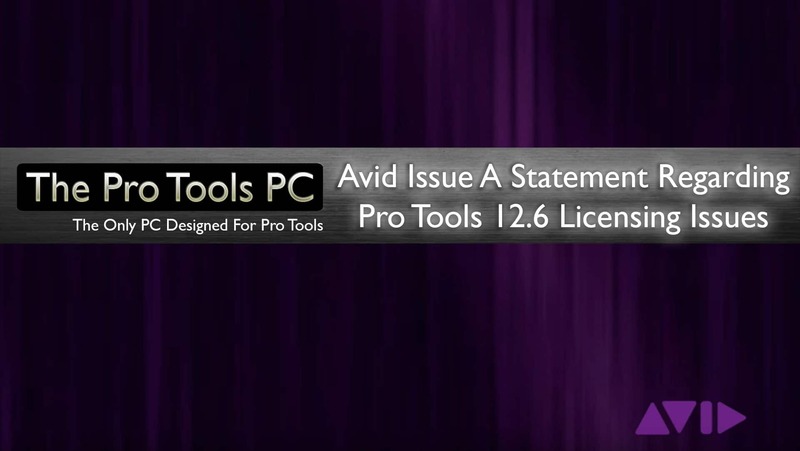 If your Upgrade Plan was active at the time of the 12.6 release or you have an active Subscription and you do not have your new license by week's end, please let Avid know through your Avid account or the Contact Support link. We appreciate your patience while we work through the remaining issues as quickly as possible. Posted in Discussion, Free Support, News, Release Notes, Tech Support, updates and tagged 12.6, Avid, Pro Tools 12.6.